McGaw, I.J., C. Steell, T.E. Van Leeuwen, E.J. Eliason and S.J. Cooke. 2017. Application of miniature heart-rate data loggers for use in free moving decapod crustaceans: method development and validation. 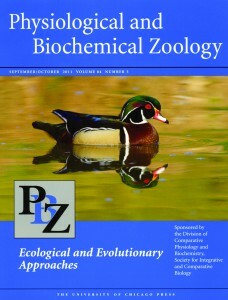 Physiological and Biochemical Zoology. 91(1):731-739.